Promoting your business doesn’t need to be a costly proposition. There are many promotion methods that are free or affordable. 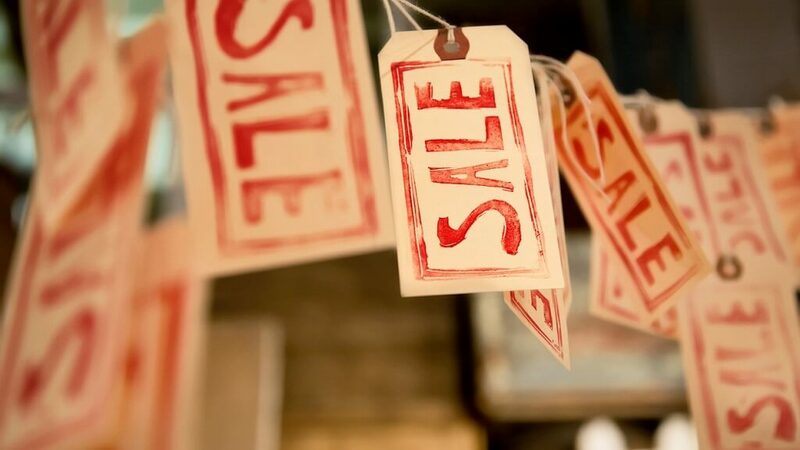 Whether you are looking to increase your real following on Instagram, improve engagement on Facebook, or improve customer satisfaction across the board, there are effective ways to use sales promotion ideas in the New Year. This article takes a peek at some of the more effective strategies that you can use to improve brand awareness, drive social media traffic, and convert leads into sales. Target Promotions to Specific Groups. Before looking at the specific types of sales promotion ideas available to you, it’s important to note who you are targeting. Your promotion might be designed for people who have visited your site but did not purchase anything. On the other hand, you may want to run a promotion that casts a wider net- potential consumers. Maybe you’re concerned about maintaining the following you have and want to do something for loyal consumers who have been with you for a while. It may also be possible that you’re looking at a specific demographic for a new line of products, such as women over 50 or unmarried Generation Z’ers. Over time, and with plenty of testing, you can learn where your audience is and who to target. You may also need to use apps like Facebook’s Pixel, which will help you measure, optimize, and build promotional campaigns for specific audiences. A BOGO, or buy-one-get-one-free deal is an effective strategy that can be used with both loyal consumers and potential customers who are looking for a good deal. BOGOs can clear stock, make room for a new product, help seasonal turnover, and encourage consumers to try a service or product they think they may like. BOGOs increase revenue because they magnify interest in a product. BOGO can also work for services, such as offering deals on classes or training. This can help service industries get new clients in during an offseason or fill a waning schedule. Sometimes creating a sense of urgency to purchase now instead of later is all it takes to drive conversions. A “flash sale” promotion with a clear, aesthetically pleasing call to action with an expiration date is the key to making this strategy work. Be sure that your promotional marketing message is carried across all of your social media channels, email campaigns, and on your business website. Emphasize the deal from every potential angle, starting with a “teaser” message that a big, must-have bargain is about to hit, but don’t give the entire thing away. When the timing is right, release your flash sale promotion with a hard-hitting message about the deadline. In some industries and with some products or services, it may be next to impossible to compete on price or offer a “flash sale” promotion. Instead, consider an upgrade which is more of a bonus than a discount to your bottom line. Offering an upgrade or add-on could make a potential consumer upgrade at the normal price at a later date, especially if they know what’s available. Keeping your pricing consistent and informing consumers about what upgrades are relevant to their lifestyle may be appealing to potential customers. Knowing more about upselling can help increase revenue over time. Free Gifts, Samples, or Trials. There are a variety of ways to use a free gift or free sample promotion. Restaurants, for example, offer free kids meal with the purchase of an adult meal. Grocery stores may provide food samples for new products being offered in their aisles. Service industries may offer a free add-on service with the purchase of a standard one. E-commerce stores may throw in a free gift or offer free shipping within a particular time period or with the purchase of a particular product they are looking to endorse. Free trials are also popular and attract consumer attention because the company is offering something for free. Be sure that before you opt for this last promotional strategy, you understand how to convert a free user into a paying customer so that you can improve your conversion rate and increase your bottom line. A loyalty program needs to be attractive enough that your customers will desire to participate. Focusing on getting new followers is important, but so is maintaining your loyal consumer base and the last thing your loyal consumers want is another card to force in their wallet. Loyalty programs can include digital solutions such as CandyBar, a mobile-friendly platform perfect for small businesses that allows your brand to build relationships with clients without the use of physical cards or record keeping processes. You can also improve customer relationship incentives by providing customer retention programs like an insiders’ club, subscriptions for gold-standard members, or special rewards for your branding representatives. What effective sales promotion campaign would you want to share? Comment below.